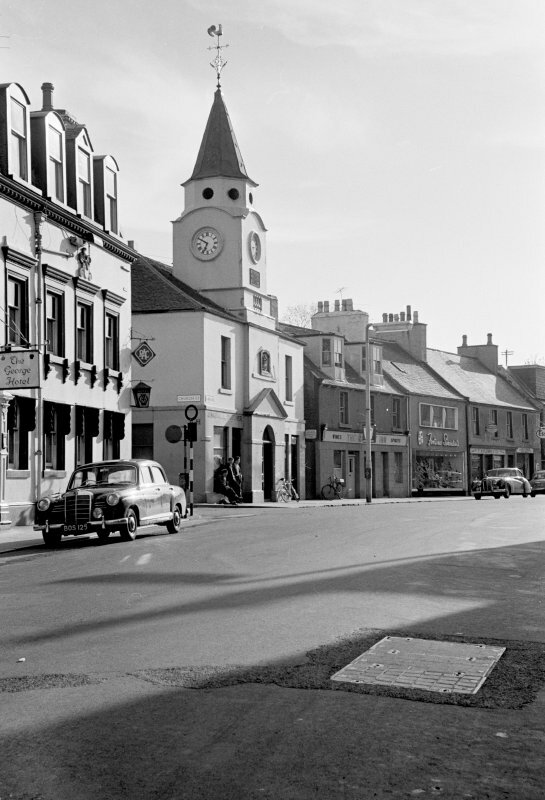 View of Old Town Hall, Stranraer, from north west. Detail of tower, Old Town Hall, Stranraer. 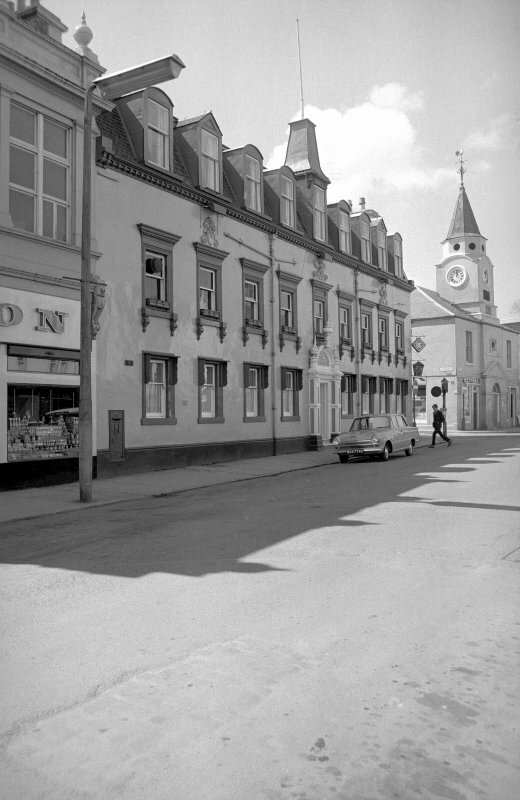 View of Old Town Hall, Stranraer, showing Church Street elevation. 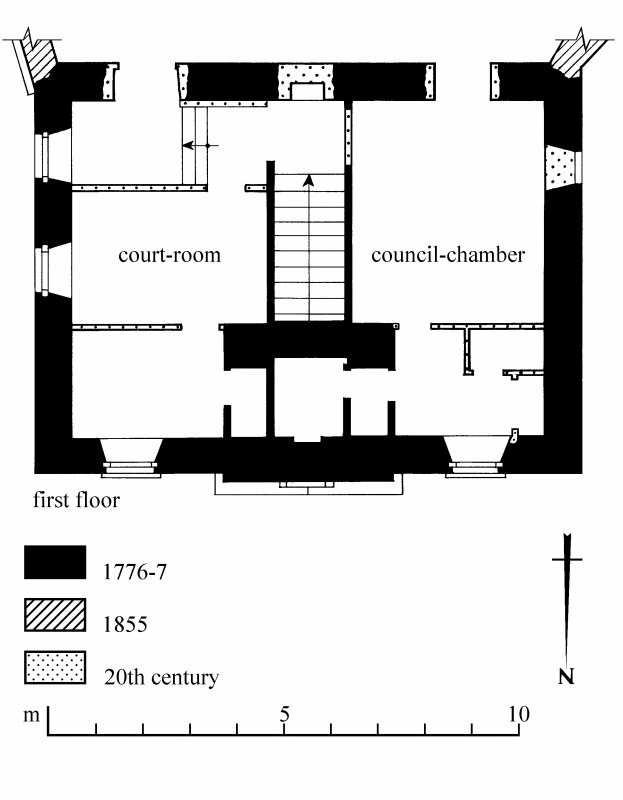 Ground floor plan. Preparatory drawing for 'Tolbooths and Town-Houses', RCAHMS, 1996. N.d.
First floor plan. Preparatory drawing for 'Tolbooths and Town-Houses', RCAHMS, 1996. N.d.
Nelevation. Preparatory drawing for 'Tolbooths and Town-Houses', RCAHMS, 1996. 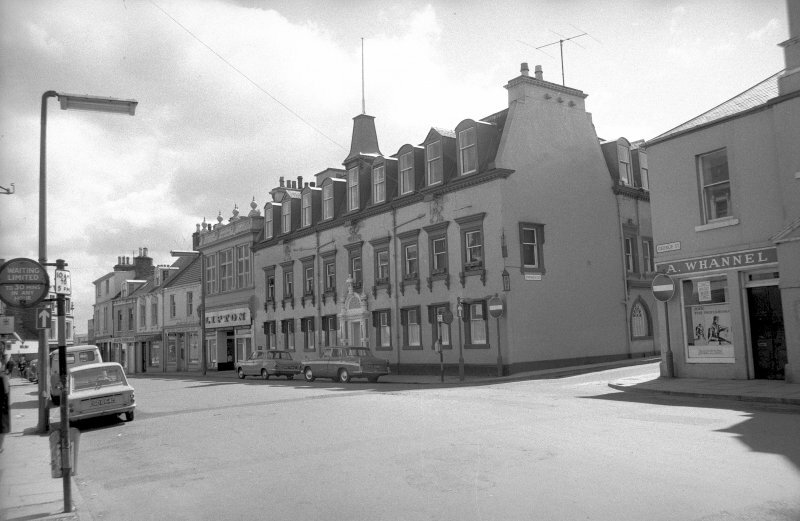 N.d.
View of north elevation of Old Town Hall, Stranraer, from Queen Street. 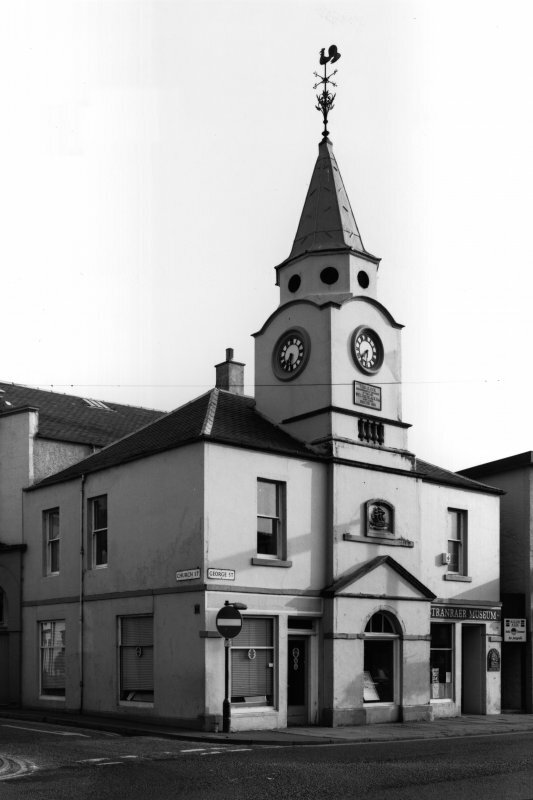 View of Old Town Hall, Stranraer, from north east. 1 sheet of survey drawings: North elevation; First-floor plan; Ground-floor plan. Preparatory drawing for 'Tolbooths and Town-Houses', RCAHMS, 1996. John Hamilton to 5 Earl of Stair; Bargany 28 aug. 1776. Hamilton has this season paid ?25 down for Stranraer Town House, but the foundation cost ?200 and it wil take many ?100's more. "I propose so soon as it is finished which will be next season to erect a Turnpike at Glenap to make the road from thence to the March of Galloway . 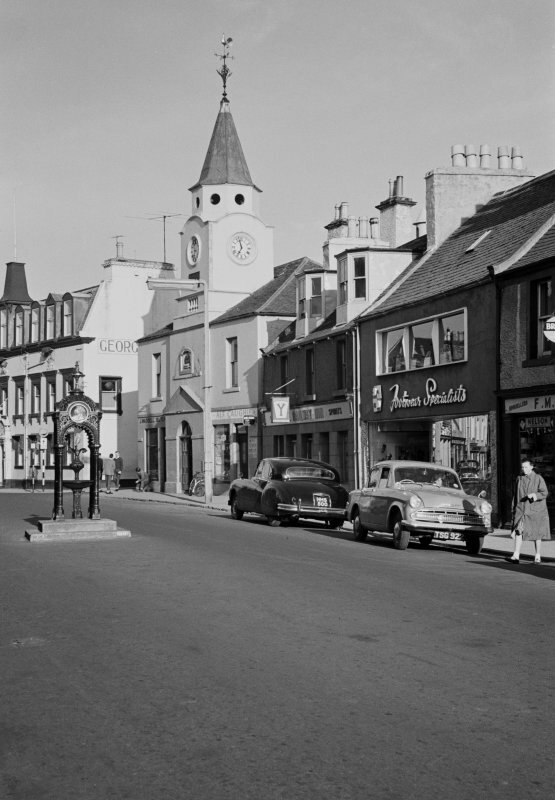 . . "
Photographs of the exterior of the Old Town Hall in Stranraer, Wigtownshire, by the Scottish National Buildings Record in May 1962. 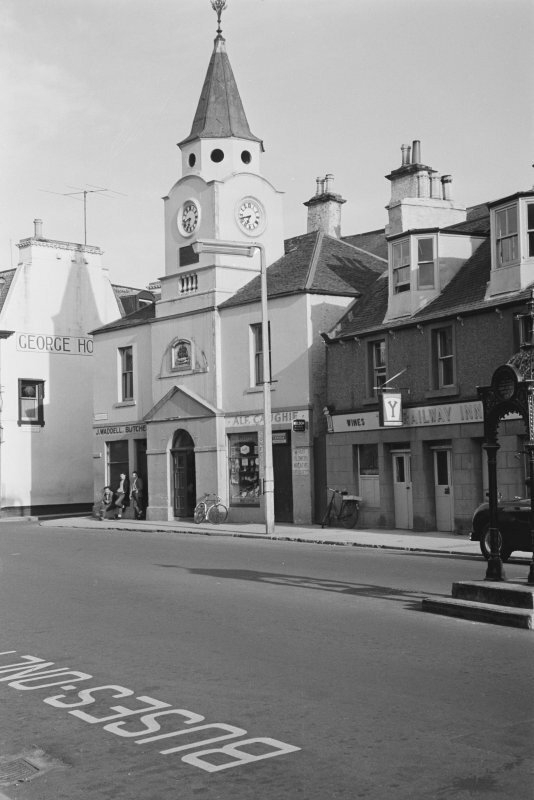 Nearby, in George Street, stands the old townhouse, completed in 1776 figure 19 &figure 18: C. A fine example of a late eighteenth-century tolbooth, in spite of the claim of a visitor in 1877 that it was a 'very plain edifice' and 'like some ladies very much indebted to paint for its good looks', this two-storeyed building has a symmetrical front with an arched doorway set in the middle, an octagonal steeple and circular windows. The ground floor housed two shops, one now an entrance to the museum. 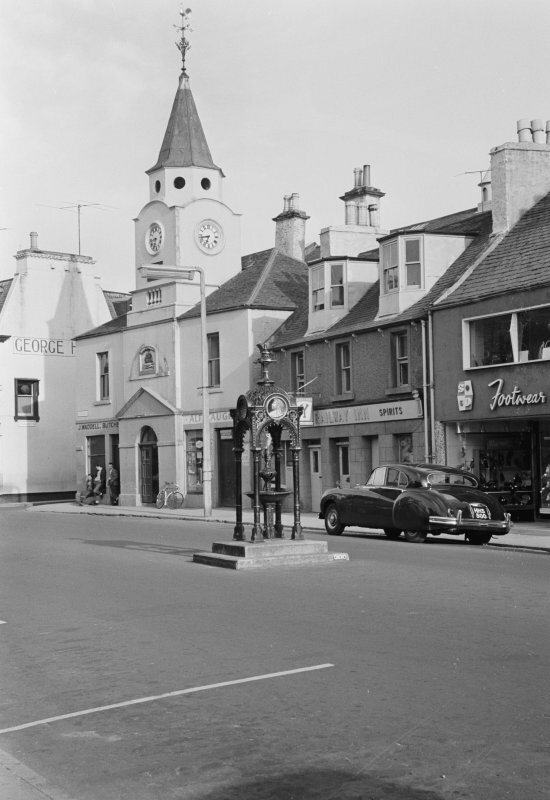 It was in the tolbooth that the tolls, or taxes, for the use of the market were collected, the town weights were kept, the town gaol was housed (until its removal to the castle), and the Council meetings took place. 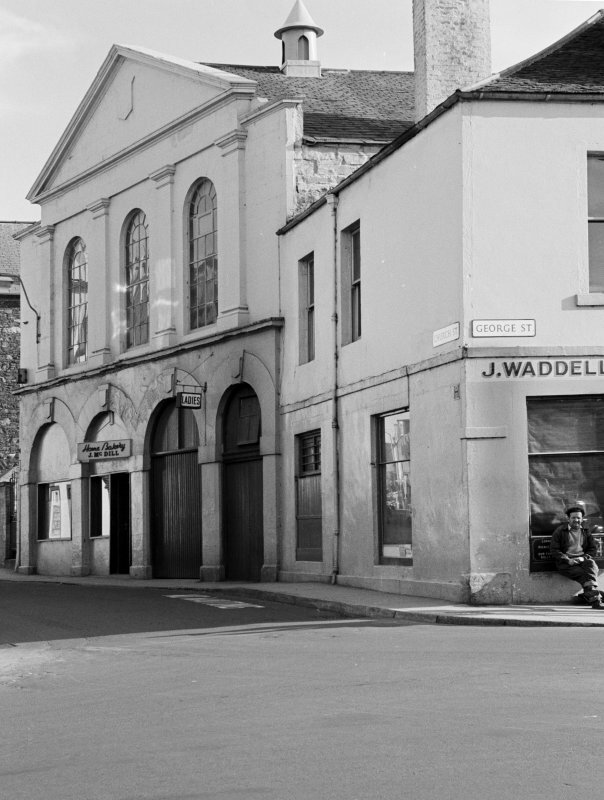 Attached at the rear, in Church Street, is a later town hall building. 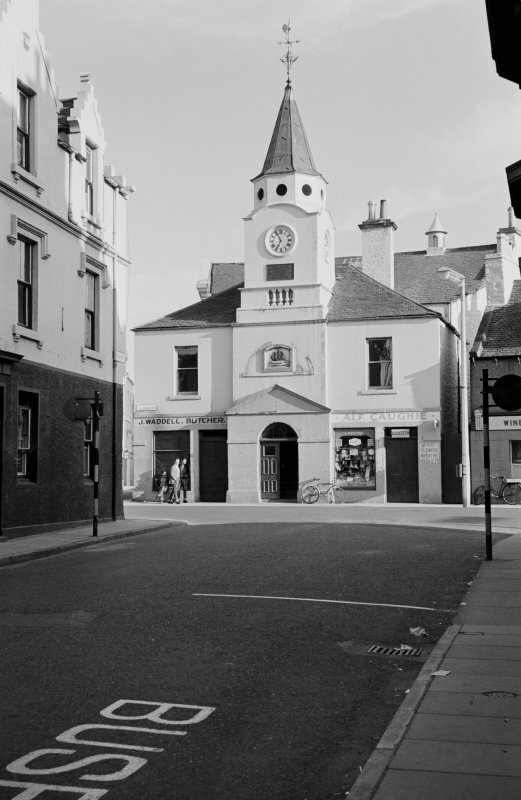 The tollbooth had been extended to the south by a market house in 1802figure18: D and this, with later ranges surrounding a triangular courtyard, was replaced in 1855 by a large corn exchange with a court-room on the upper floor figure 18: E. The site of the old tolbooth or town hall reflects the dominant role it played in the life of the burgh and the townspeople-at the market place, the focal point of burgh life. Despite the complex history of this building, the site on which it stands is perhaps more important from an archaeological perspective. This was originally part of the graveyard of the old parish church, originally built in 1649, re-built in 1694, and replaced again in 1841; the discovery of two burials below the existing floor level during alteration work in 1989 confirms its location. Any further development here is highly likely to reveal more burials, and perhaps floor levels associated with the eighteenth-century tolbooth. The original town-house comprises a two-storeyed rectangular block measuring 11.8m across the three-bay N front by 8.75m, with a steeple 15m high rising above the slightly advanced central bay. Its masonry is of rubble, rendered in the Nand E fronts and with freestone dressings, all heavily painted, and the hipped roof is slated, while the timber-framed spire is covered with lead. In the central bay there is a doorway, now altered to a window, with a round-headed glazed tympanum below a moulded pediment which is linked to a freestone band in the side-bays. At first-floor level there is a carved panel bearing the burgh arms, installed in 1886, and the steeple rises above the moulded eaves-cornice in two low stages, the upper one incorporating a short length of balustrade. 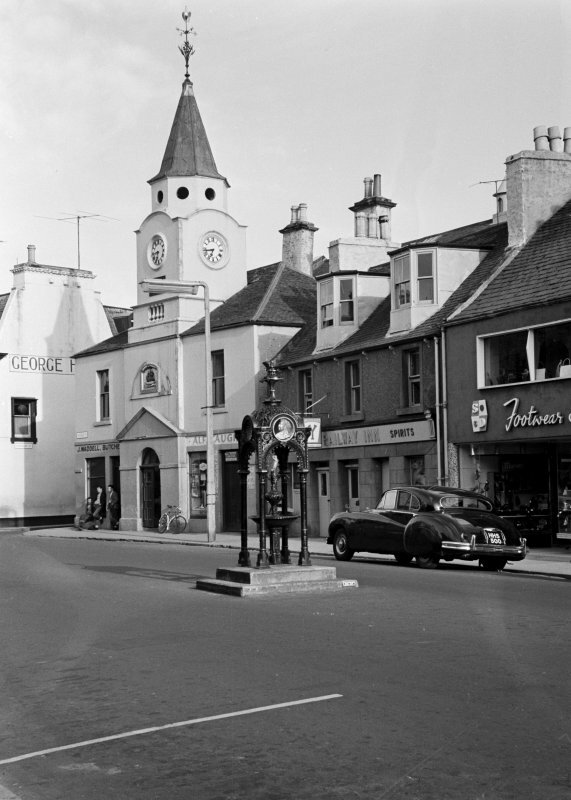 The square clockstage bears a plaque of 1936 commemorating the donor of the present clock, and above its four segmental wall-head pediments there is a low octagonal belfry with five circular openings, which carries the short octagonal spire. The ground-floor doors and windows in the side-bays date from their later use as shops, and there is some evidence that the N front may have been arcaded. The fenestration of the sidewalls is irregular, but a blocked high-level window in the W wall of the ground floor may relate to the use of this area as a prison. A blocked door in the E wall was exposed in 1996. The interior preserves few early features, but two roundheaded arches in the massive side-walls of the steeple gave access to the entrance-lobby at the foot of the central stair from the front areas of the side-bays, which may originally have been open. Until the opening of the castle prison in 1822 the ground storey included a guard-house and jail, and the first floor a debtors' prison whose removal allowed the enlargement of the council-chamber. 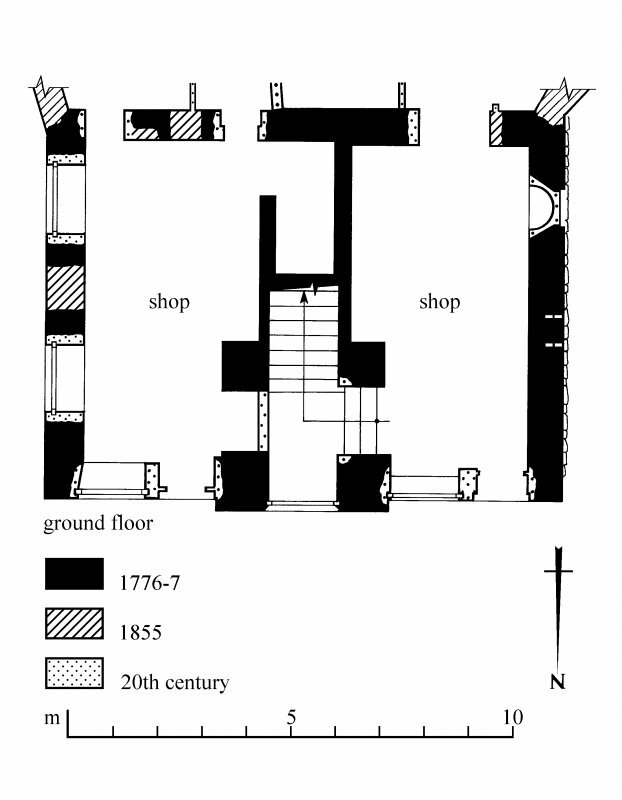 The ground storey was divided into two shops in 1837, and the court-room appears to have been housed in the E part of the upper floor. The E front of the added block of 1855, fronting Church Street, has a four-bay ground-floor arcade, formerly open, while the first floor displays three pilastered bays containing large round-headed windows and carrying a gabled pediment. 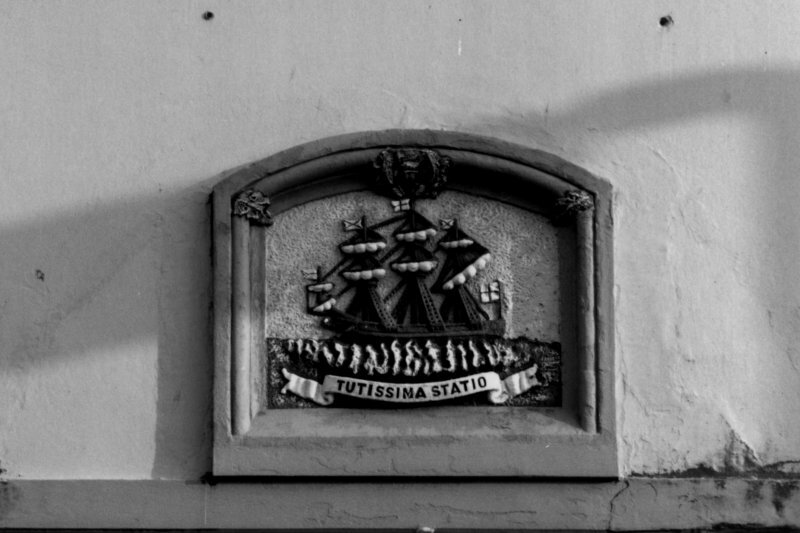 There are three windows of similar type in the upper part if the S wall. 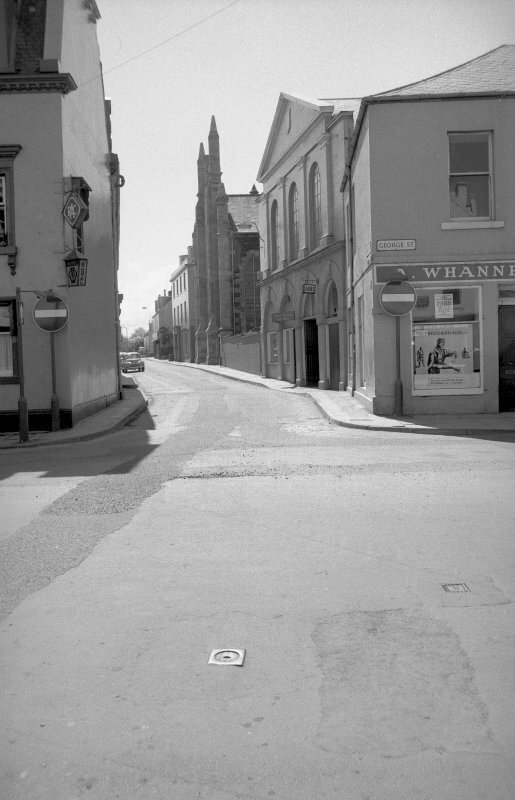 The interior of the block has been altered, but in 1988 traces of the N gable of the much lower market-house of 1802 were identified against the exterior of the S wall of the original town-house. 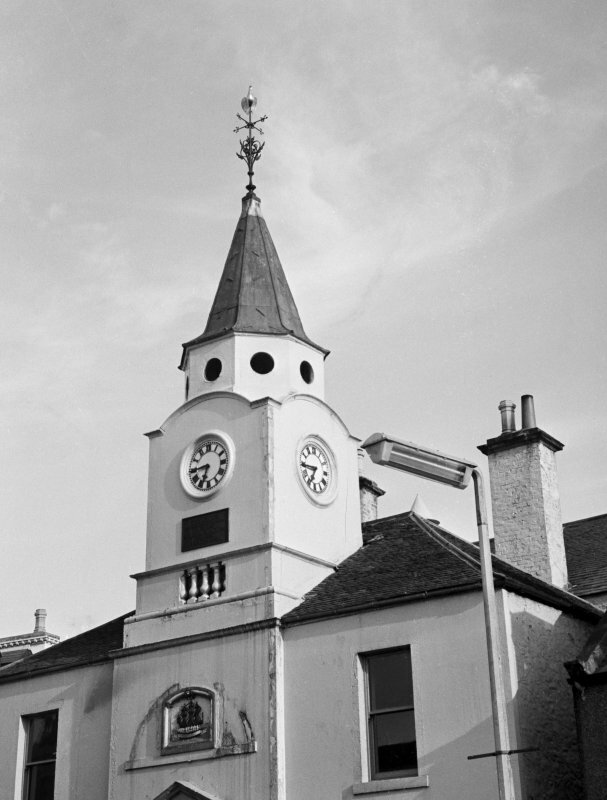 The old tolbooth, which contained ajail on the ground floor, was ruinous by 1775, as was the church which lay immediately to the S, and the council accepted plans for rebuilding both, given in by Edward Wallace, mason, and Thomas Hall. 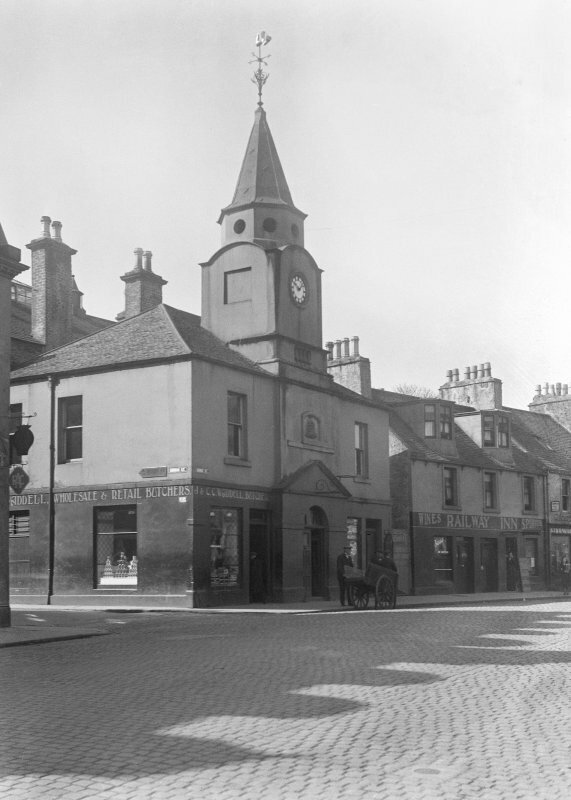 A contract was made with Archibald Paterson, mason, and John McBride, wright, but it was soon decided that 'the Town's funds will not answer to b'uild both at one time '. 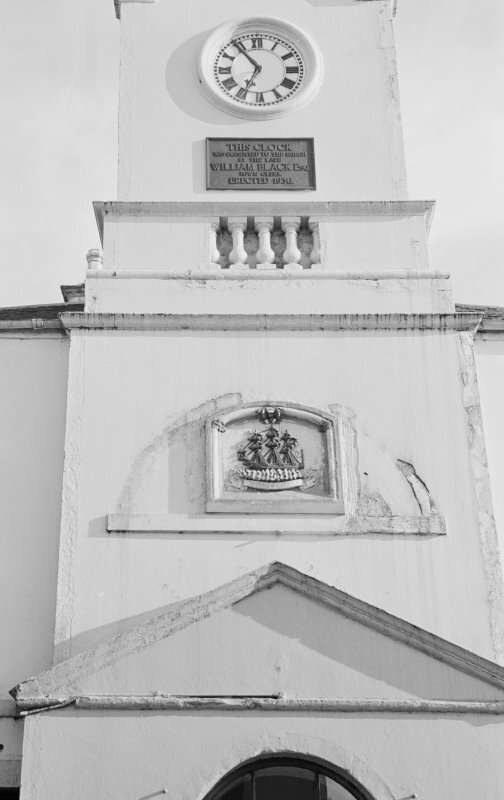 A revised price of £270 was agreed for the town-house only, 'adding to the height of the steeple four or five foots more', and the work was completed in June 1776. The adjacent market-house was built in 1802 by John Hornsby, mason, at a cost of £ 146,while the corn-exchange and court-room that replaced it in 1855 cost £842. 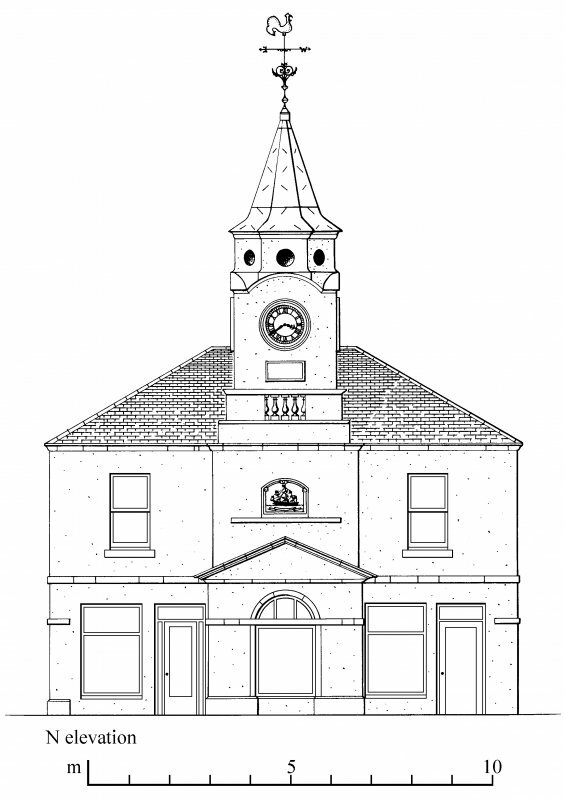 Following the opening of a new town hall in Lewis Street in 1874, the old building was used by various organisations, including the fire brigade and the Athenaeum Club, before becoming the home ofStranraer Museum.